Season 2 winner of FOX's The X-Factor, Tate Stevens released his self-titled major label album on April 23, 2013. Editor's Note: Welcome to CNN Radio Music Notes – your backstage pass to all things music! From intimate conversations with headliners to the latest scoop on your favorite Indie band, hang out with us to find out what's happening in the world of music. Listen to the full story in our player above, and join the conversation in our comments section below. 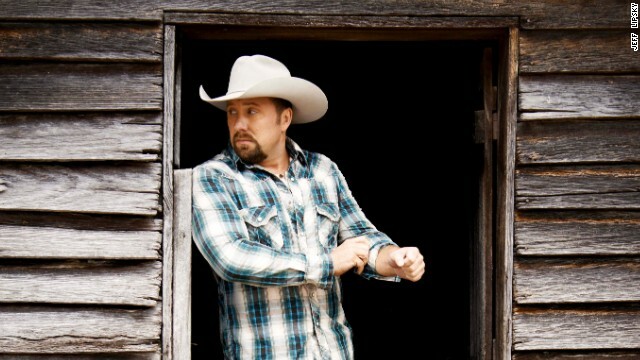 (CNN) – For a long time, Tate Stevens enjoyed the life of an Average Joe with a golden voice. All of that changed when Tate became the winner of FOX's "The X-Factor" Season 2.